This Sunday’s Sesh is brought to you by Little Creatures Pale Ale, and it’s going to be a straight beer review since I am champing at the bit to get some writing done today. I’ve been struggling to get words down and I’m finally getting some momentum, so this post will be short but sweet. I’ve been meaning to have a go of a Little Creatures of some kind for a while now, and I’m wondering why it’s taken me so long. This is a bright orange colour (though you can’t tell thanks to my crap photography), and it has heaps of bubbles, which means the little creamy head from the pour sticks around even after you start drinking it. I’m drinking this one on its own as opposed to with snacks like I would normally, and it’s going down a treat. It’s a little fruity and very refreshing, though a little dry on the aftertaste. I could easily have a few of these, even on a cool day. I won’t today though, since the 1.4 standards drinks is going to my head already, which means I’m drinking this a little too fast. A good sign I say! 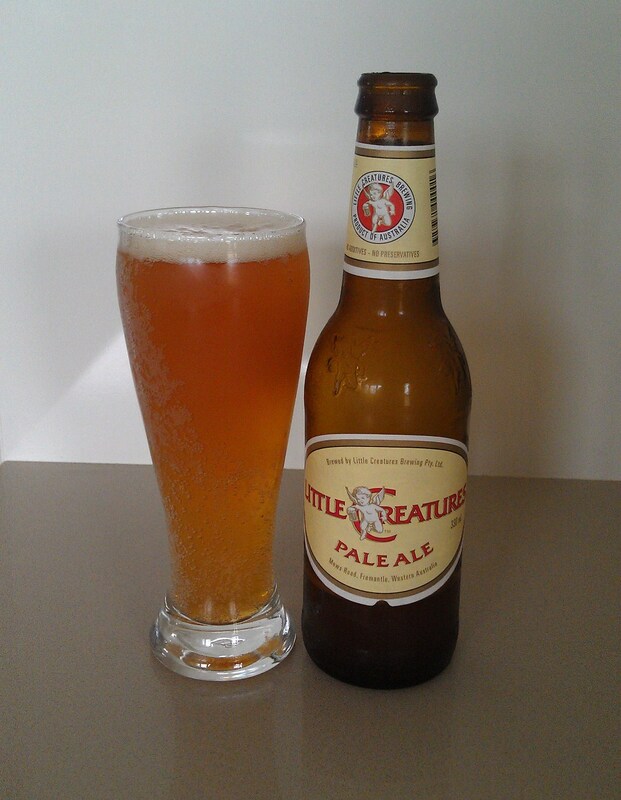 I’m looking forward to trying the other Little Creatures beers in the future. Before I go, there are just three more Sunday Sesh’s left for the summer. I’ve got a couple of beers in mind for the next couple of reviews, but I’m searching for something special for the very last one. If you have anything you really think I should try, let me know in the comments. Or if you have two beers that you think would go well head-to-head, I’m certainly up for that. Let me know.